Based in Bangalore, Snow Queen Spa is one of the leading manufacturers of herbal neem oil products in the industry. We offer a range of herbal neem oil products to our customers across the country. 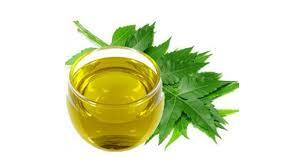 We are also counted among the top-notched suppliers of neem seed oil products as we do business with honesty. Our customers can be 100% assured with the quality of our neem oil products as we use supreme quality raw materials which are sourced from the recognized vendors in the industry. We have a professional tem for quality control who supervise manufacturing to packaging sessions. During manufacturing, we use all the latest technology in our infrastructural unit for best results. Packaging Details we make certain that the packaging is done under the strict supervision of experts and professionals.